Just a heads up to let all of you know that I’m in the process of porting the blog over to my website (hopefully exciting things are coming!) so if you experience any weirdness in the next few days, that’s probably why and will hopefully be temporary. 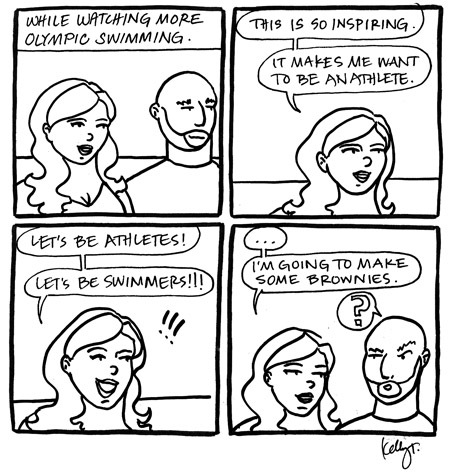 A Little Olympics Meets Rabid Lamb Re-Hash Part Deux! Some of you may not even know I did a daily (M-F) comic strip for a year. Ugh. A year. Yup. It was called Rabid Lamb and most of the time it sucked. But occasionally it was funny. New She Has No Head! today, kids. And as the column today will tell you, I’m doing THIS new thing…cause you know…I don’t already have enough to do. Other things you should know, She Has No Head! is going to have to be on hiatus for August…I just have to focus on THE GIRL WHO WOULD BE KING stuff (sorry!) but it’ll be back full swing in September. I hope Sue and I will still get an episode or two of 3 Chicks up in August, but no promises! It’s Thursday…you know what that means…NEW chapters for THE GIRL WHO WOULD BE KING. If you want to read ALL of Part 1: Break Away (over 90 pages), head over to THE GIRL WHO WOULD BE KING page and download or read directly from the site. A huge thanks to all of you for the massive success of the Kickstarter. I’m so in awe of your support and enthusiasm for this book. And of course thanks to all of you the book is not only being published but it will an amazing one of a kind hardcover illustrated edition – with gorgeous work by Stephanie Hans. Check out the Kickstarter and updates to see more of what’s to come. 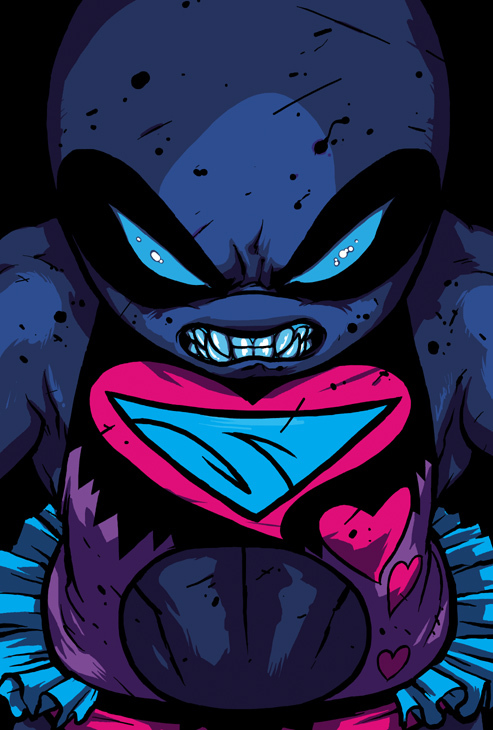 Now onto those last pages…you guys know I ended this on a cliffhanger, right? I’M SORRY, OKAY!?!?! I ride the rails trying to forget about Jasper. About Rachael and Sharon. My mother and father. And I focus on the idea of starting over until it’s the only thing I can see. It sounds clean. It feels clean. The idea of being someone else, maybe in a whole new city, with an entirely new name. With those things can I also somehow have a new past? It’s Tuesday…you know what that means…NEW chapters for THE GIRL WHO WOULD BE KING. If you want the entire story thus far (over 88 pages! ), head over to THE GIRL WHO WOULD BE KING page and download or read directly from the site. Don’t forget to Donate to the KICKSTARTER – IT ENDS JULY 25th at 2:30pm US Eastern! Also, just as a reminder to those of you who have been reading along and may have become invested…the last two chapters for “Part 1: Break Away” go up Thursday…so prepare yourselves! It’s still early when I find myself standing outside his house, across the street, under the shade of a big tree. He comes out eventually and starts walking, a messenger bag slung over his shoulder, not unlike my duffel bag and me. The sight of him hits me like being doused with ice water. He looks just like our father. Tall and lanky with broad shoulders and dark, thick, almost unruly hair. He has a strong handsome jaw line and skin much more olive than mine which is pale and pinkish. I want to run up to him, embrace him, escape with him, and never have to talk about what has happened to us. But I resist. I’m not so confident he’s forgiven me for being the sole survivor of the accident. I’ve long ago forgiven him for not coming to rescue me, but my sin seems much greater to me than his; it always has. 30 Days of Superheroines – Day 28! In honor of Bonnie and Lola and THE GIRL WHO WOULD BE KING we continue our 30 Days of Superheroines! 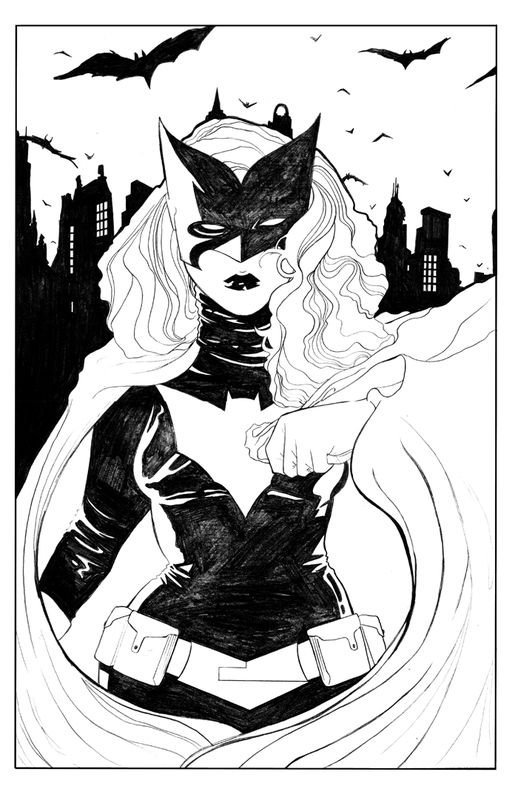 And to finish up our Batman related fun…the always amazing Barbara Gordon aka ORACLE! 30 Days of Superheroines – Day 27! 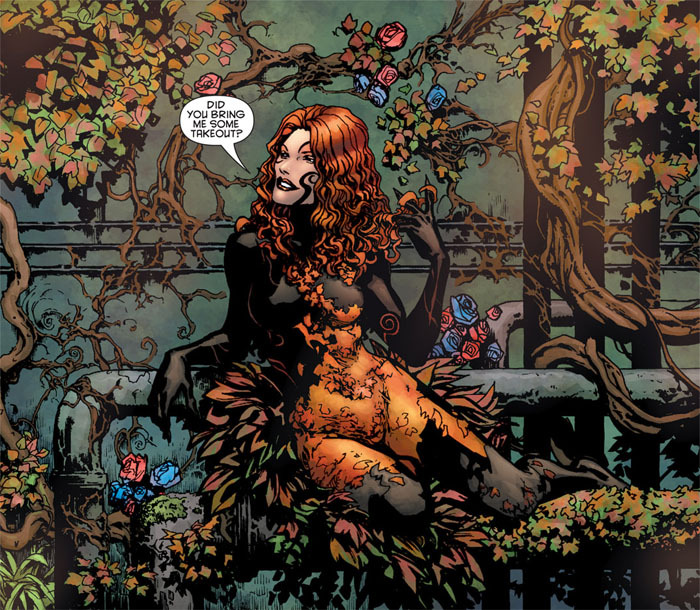 More Bat-tastic ladies…Poison Ivy folks! Love me some Bruce Timm Poison Ivy! 30 Days of Superheriones – Day 26! Sorry this is a day delayed, kids. I’ve been just swamped. Here we go…final days! 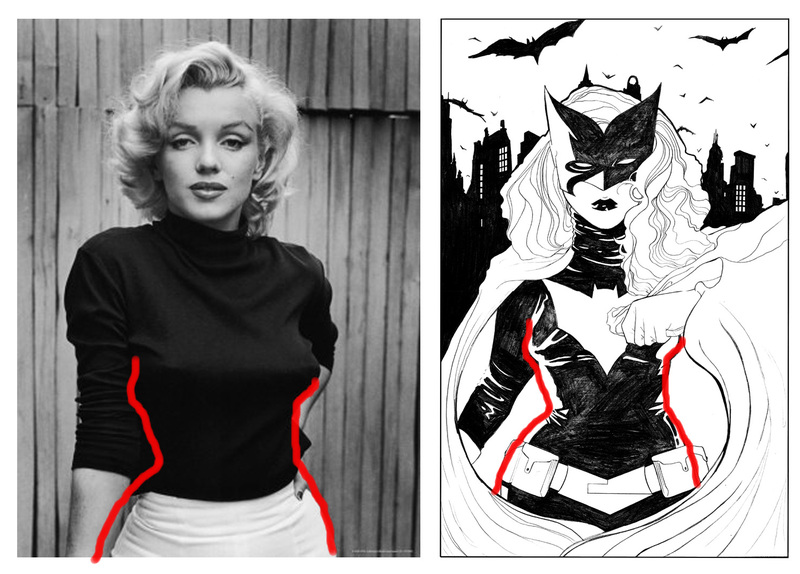 As expected, in honor of THE DARK KNIGHT RISES, which opened this week we’re going to be looking at a lot of Bat-ladies over the next few days. 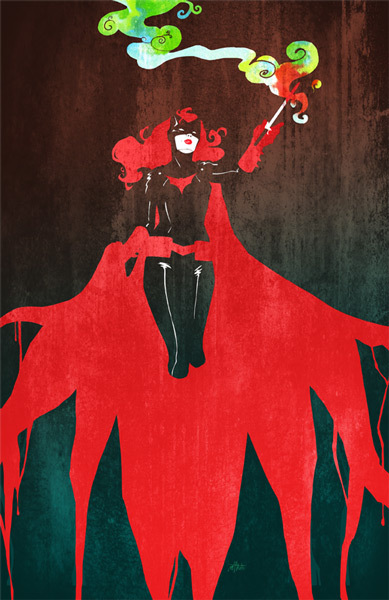 Today is Kate Kane aka BATWOMAN! If you guys haven’t heard about this image yet, check this out. I’m hoping to write about this for She Has No Head! It’s gorgeous, right? 30 Days of Superheroines – Day 25! 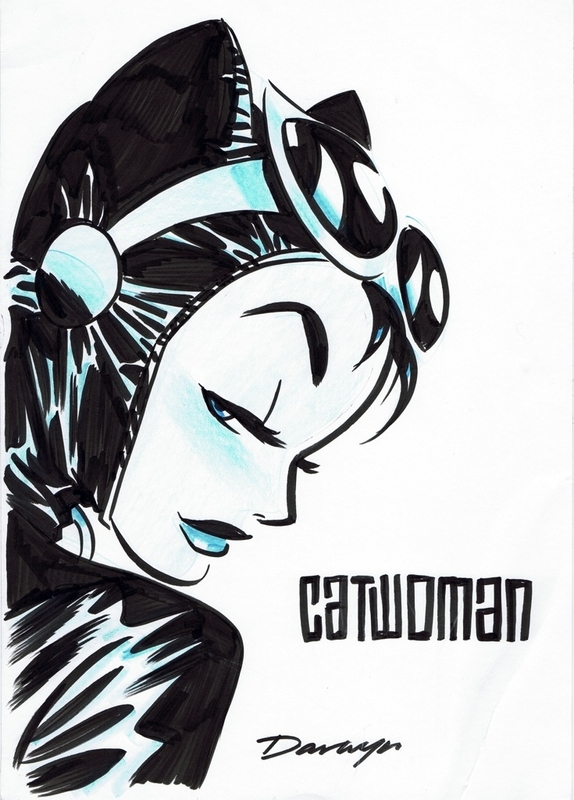 And in honor of Batman: The Dark Knight Rises – Selina Kyle…CATWOMAN! If you want the entire story thus far (over 70 pages! ), head over to THE GIRL WHO WOULD BE KING page and download or read directly from the site. Don’t forget to Donate to the KICKSTARTER – IT ENDS JULY 25th at 2:30pm US Eastern! When I wake up in the abandoned building it’s late afternoon judging by the sun and I feel new, like I have been slumbering in a cocoon and am now emerging strong; like being reborn. My clothes look the opposite of new however, stiff and caked in dark blood. I unzip my bag and pull out some of the few items of clothing I own and change into them, testing my muscles as I stretch, my mind swimming about what I should do next. I’ve had doubts about finding Jasper ever since he didn’t come for me six years ago, and they’ve only been compounded since things have gone so horribly awry for me since leaving the home. But when you hold onto something so tightly for twelve years it’s hard to let it go. Maybe impossible. He’s still all I want in this whole world. If he doesn’t want me around, he’ll have to tell me himself. OMG. 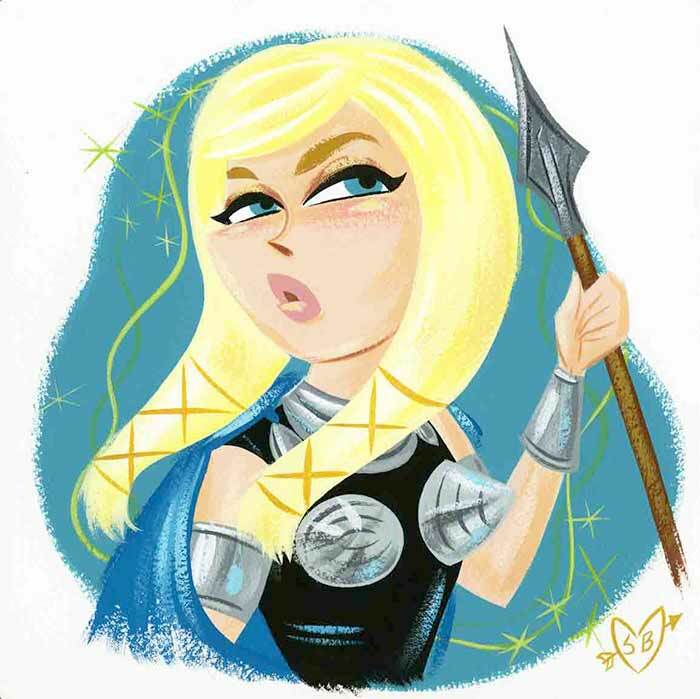 How did I miss this Stephanie Buscema Valkyrie in my Valkyrie/Sif day? 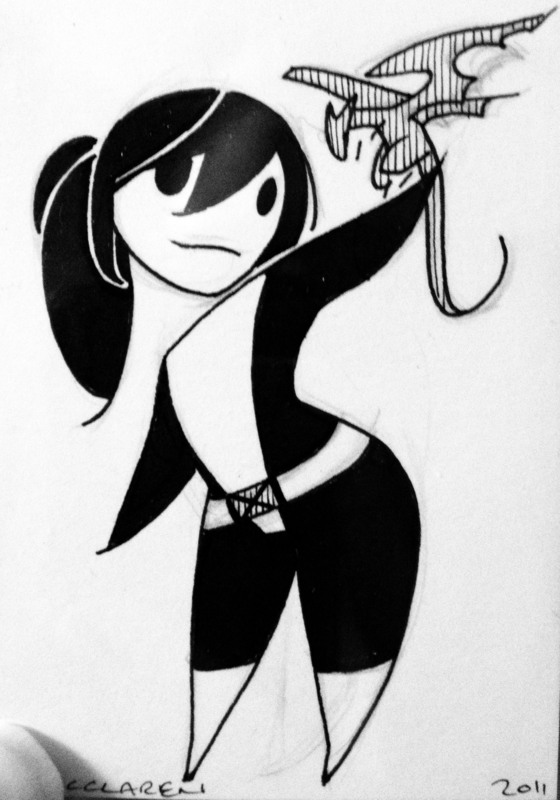 30 Days of Superheroines – Day 24! 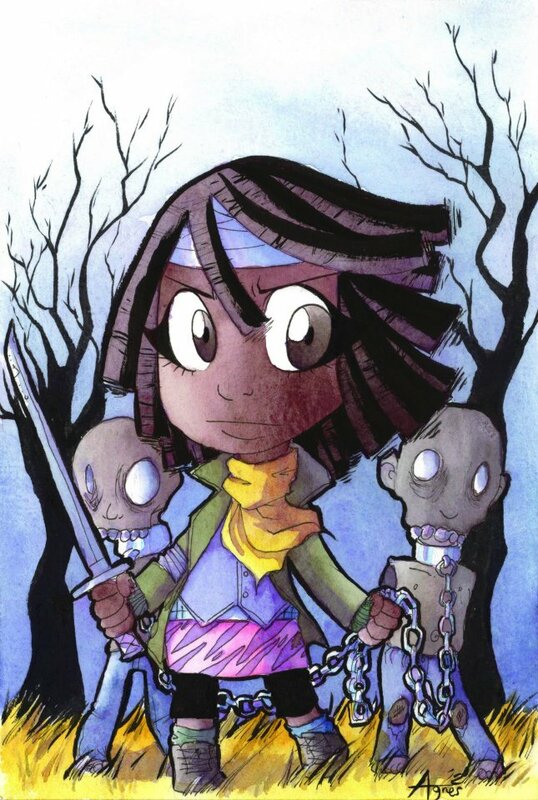 Ross Campbell’s Scout Montana aka SHADOWEYES! 30 Days of Superheroines – Day 23! 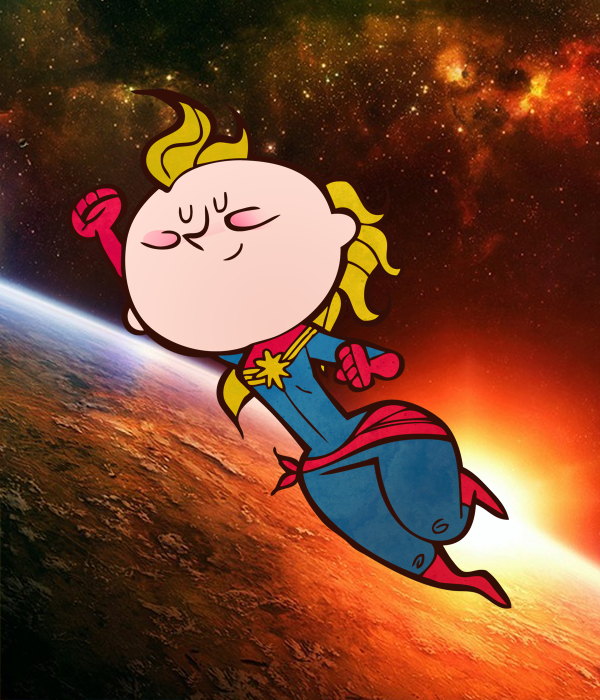 In honor of Carol Danver’s debut as Captain Marvel in her own title today…CAPTAIN MARVEL (and a few Ms. Marvel’s for old times sake!) 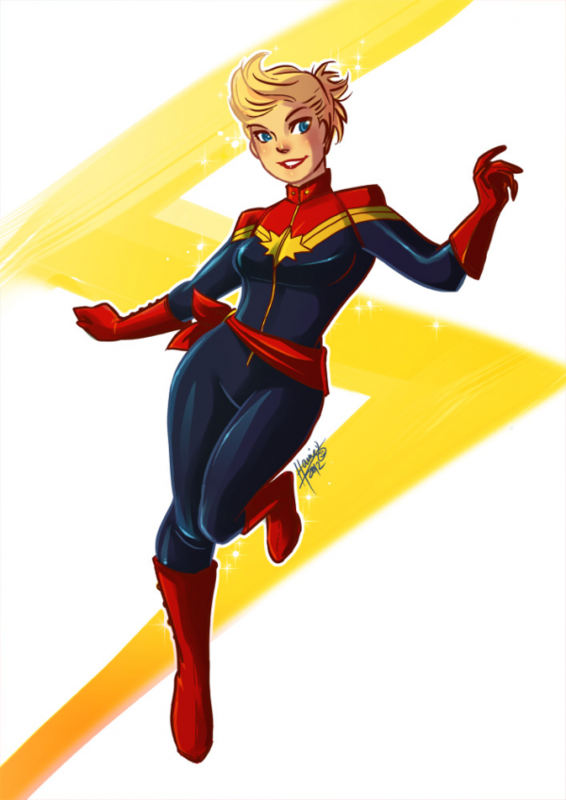 – make sure to pick up Kelly Sue DeConnick’s Captain Marvel #1 today! 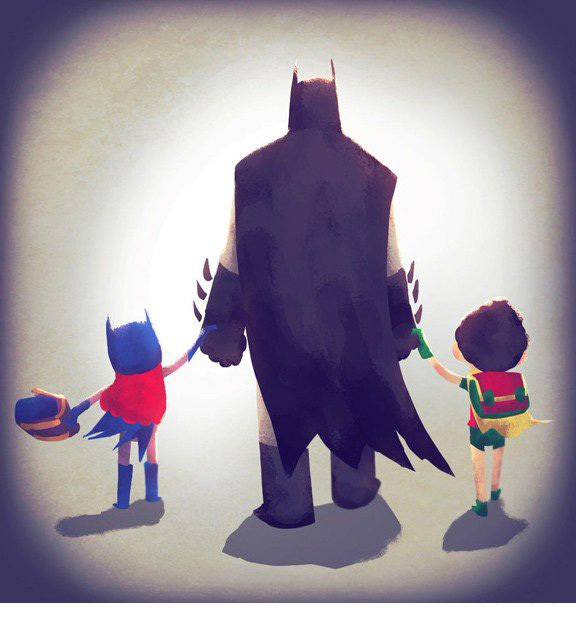 30 Days of Superheriones – Day 22! 5 Year Anniversary of 1979 Semi-Finalist Today! In the past I’ve gone all out with celebrating…and by “all out” I mean doing a drawing (impressive, right?) but I’m so buried in Kickstarter and everything else, I just haven’t had time. So give you the GREATEST. IMAGE. EVER. WOO!!!! Since last year we didn’t quite have 900,000 that means we got nearly 430k in hits over the past 12 months. Which is pretty good, especially since I’ve been so busy with other things. And considering that the hit count for our first year was a paltry 42k. Remember when it was just 300,000 we were so excited about? If you want the entire story thus far (over 70 pages! ), head over to THE GIRL WHO WOULD BE KING page and download or read directly from the site. When I wake up it’s morning, though early judging by the shafts of soft light spilling into the room through the grimy window. I feel my jaw and find it healed to perfection. A hand gingerly feeling about my hip tells me it’s still a work in progress. Sharon’s still passed out on the floorboards nearby. I crawl over to her and take her pulse. It’s strong and steady. I stand up unevenly, broken and still healing, but able to walk. Barely. I’m not sure what to do about Sharon. Hurting her has only made her more of a monster, but I don’t know if I know how to do anything but hurt. 30 Days of Superheroines – Day 21! I’ve really come around on Kitty. There was a time when I wasn’t a fan (at all) but ever since Joss Whedon’s Astonishing X-Men I’ve been reading more and more Kitty and loving it. 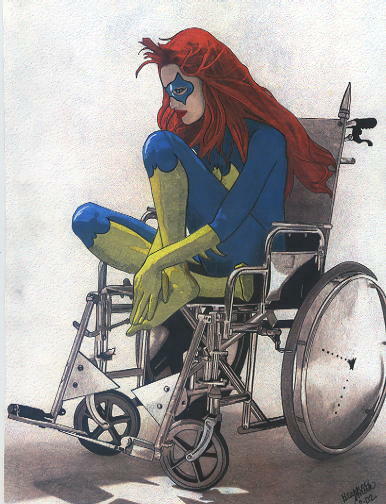 The latest of course being Brian Wood tackling her in Ultimate Comics X-Men. Good stuff! Via my collection, but you can find Meredith here. 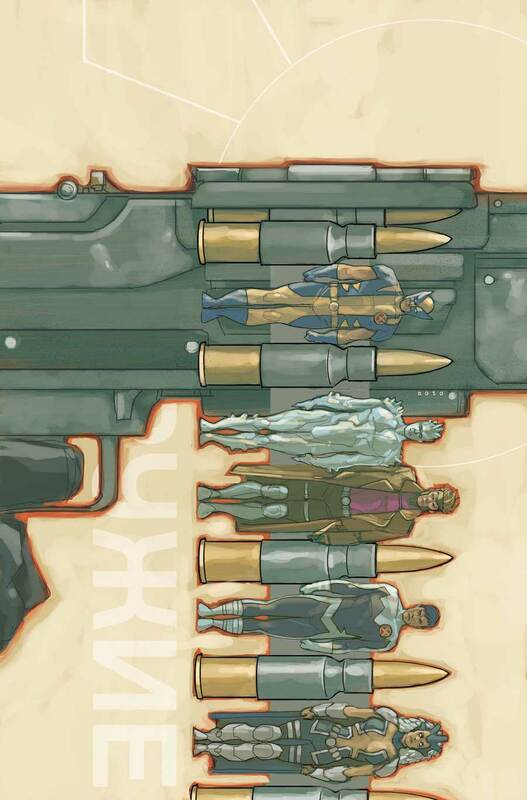 If you’d like to see the full Marvel October Cover Solicits head on over to CBR. Similarly uneventful. A few real gems, a couple dogs. Some weirdness. You know, the usual! Oh, and in a bit of shameless self promotion (and GUILT!) I ask that if you’ve been enjoying these posts over the years that you to check out my Kickstarter for my book THE GIRL WHO WOULD BE KING and donate if you can and think it looks worthwhile. See? GUILT! 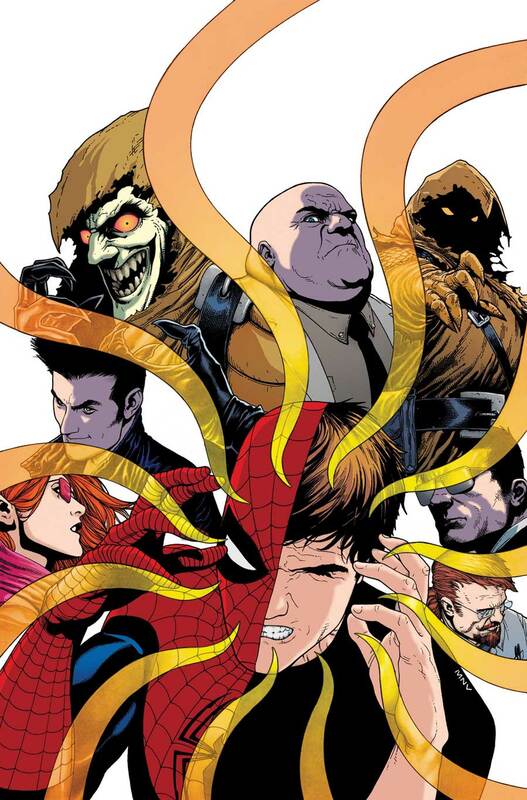 AMAZING SPIDER-MAN 695. I usually dislike floating heads covers, but this anchors things pretty nicely with a design element. Not bad! ASTONISHING X-MEN 55. AH-MAZING. 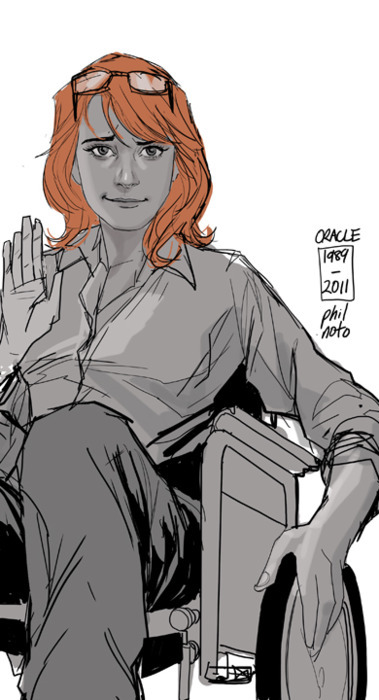 And of course it is, it’s Phil Noto! I love the color choices and the very graphic/stylized look he went for. It’s great. 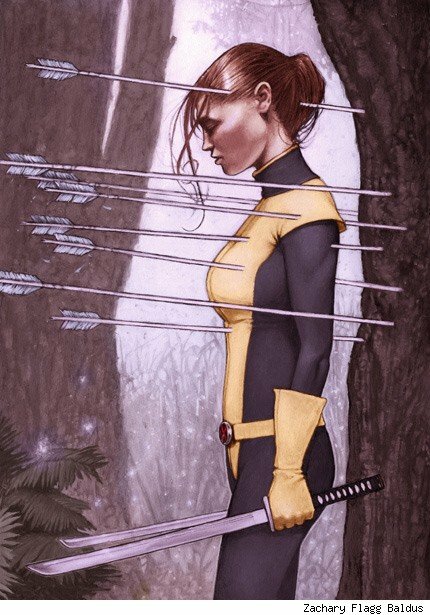 30 Days of Superheroines – Day 20! 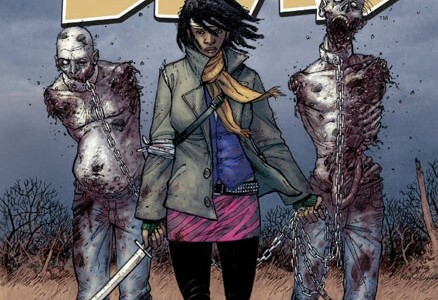 In honor of The Walking Dead #100 (which was BRUTAL) we pay homage to the best character in the whole damn 100 issues and one of my favorite characters of all time…MICHONNE! *Sorry this didn’t go up yesterday, kids. Between 52 Best Covers Since SDCC 2011 and Drunk Cover Solicits, I have been swamped.